The Company has a dedicated team of qualified grain buyers having decades of experience in purchasing thousands of tonnes of quality barley. Each of our malting sites has its own particular requirements; however, they all specify that barley for malting must achieve at least 95% germination. Generally, barley is classified into six-row and two-row barley. The six-row barley has higher enzyme content, more protein, less starch, and a thicker husk than two-row barley. The higher level of diastatic enzymes makes six-row barley desirable for conversion of adjunct starches (those that lack enzymes) during mashing. The two-row barley has lower protein content which reduces the problems with haze in the finished beer. On the down side, the higher protein content can result in greater break material (hot and cold), as well as possibly increased problems with haze in the finished beer. 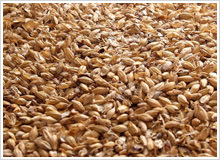 Wheat malt is essential in making wheat beers. Its protein gives the beer a fuller mouth feel and enhanced beer head stability. 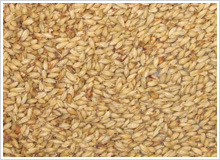 Wheat malt is used mainly for wheat beers which are special beers mostly brewed in Germany and some other top fermented beers. 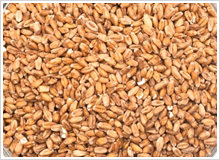 Wheat malt is also used for lager beers for flavour enrichment and to improve foam stability. Typical rate of usage could be around 50 % of the grist for wheat beers and 20 % for premium lager beers. For international brewer the company is importing Select 2 Row & 6 Row varieties of barley from North America, Europe & Australia to be produced at it manufacturing facilities for their critical requirements. 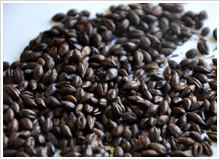 We can also supply Roasted Barley / Wheat Malt which can be used by brewers and food companies to give colour & flavour to their products.